Preliminary tests on the operating range and control of the environmental variables within the chambers has been conducted. Results are very positive, with humidity generation and control exceeding expectations, and temperature extremes being easily attainable with no failures. Unfortunately UV output is less than expected. Humidity control is required for both chambers. 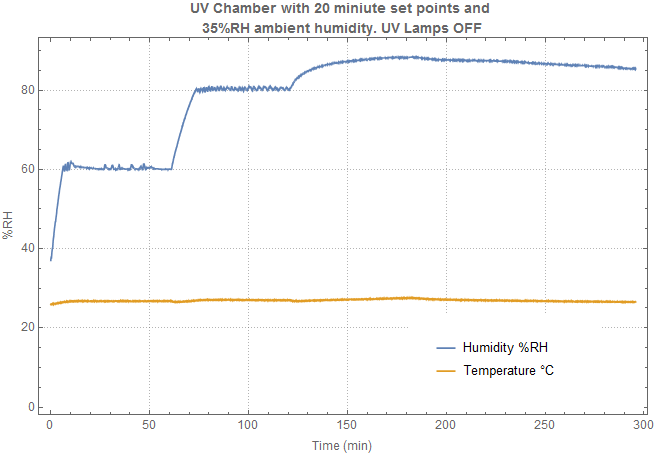 For the UV chamber preliminary testing shows that the humidification system can raise the humidity level in the chamber to 80% in under 5 minutes from an ambient of ~35%RH. 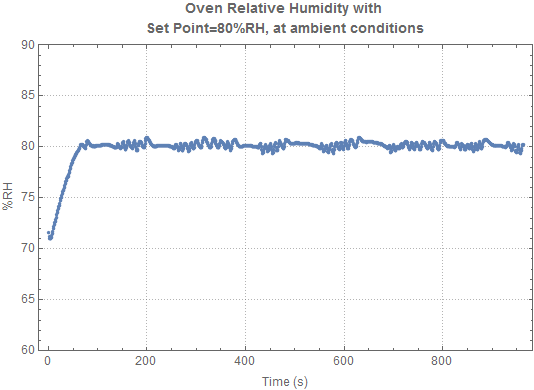 With the testing parameters used the Humidity system struggled to achieve 90%RH in the given time. The dehumidifier is effective, but slow. It is effective at maintaining a low ambient humidity, but not rapidly lowering the humidity level. We can see that control is excellent. Achieving tolerances below +-1%RH. Additionally, we can see that the humidifier has minimal impact on the temperature of the system. For the oven we can see that control is also excellent. Multiple temperatures are yet to be tested. Temperature is being controlled by a simple Bang-Bang control algorithm. A PID algorithm has also been implemented and tested, but results are still poor due to additional parameter tuning required. 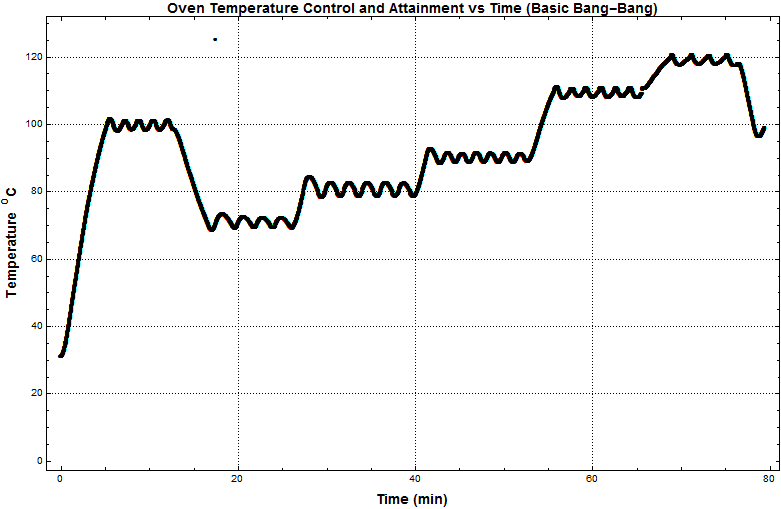 The graph below illustrates temperature control within the oven with 15 minute set point intervals and no insulation. Insulation has been added since this preliminary test. We can see we easily achieve the required temperature of 120C, and can control temperature within +-2C. With insulation and a tuned PID it is expected that these results will improve. However, this test confirms the core functionality of the temperature system. 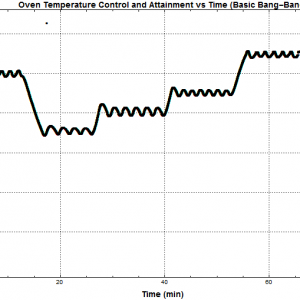 This graph illustrates the temperature within the chamber with Bang-Bang control. The UV system is designed to output in the UV-B spectrum, to maximise degradation. Initial tests have shown that UV-B levels within the chamber are approximately equal to that of Peak Sunshine on a Hot Summers day in Perth. 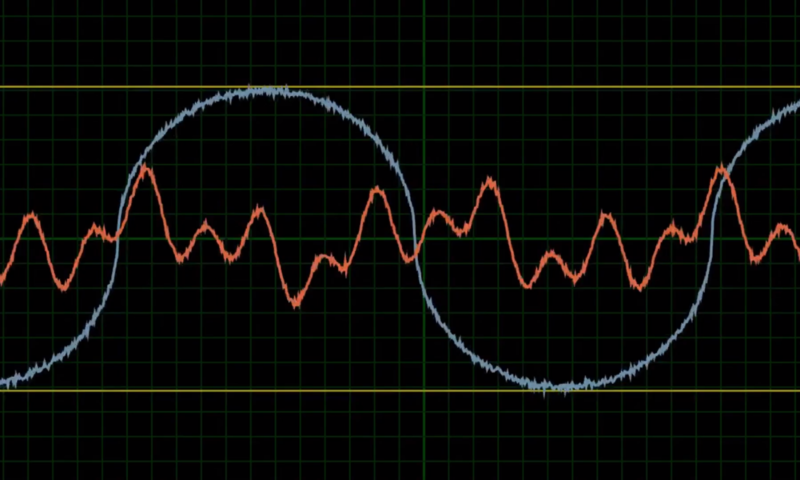 This corresponds to an output of 3mW/cm^2. Output is fully controllable between this maximum value and 20% of this maximum. We had hoped for an output of approximately 5 times this.